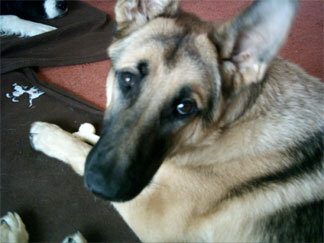 My GSD Mia, originally accompanied a homeless guy in Cape Town, South Africa, wherever he would go. Long story short, this guy passed away, on the street, and Mia - protective and loyal as she is - guarded her boss' body for days, not allowing anybody near him. She was rescued by (I think) the Animal Welfare, and was later adopted by a girl in the town where I live. The girl had to move, and didn't bother to take Mia with her. I decided that this lovely dog has been abandoned so many times, that it would be only fair to give her some stability. I took her in as my own, not without difficulty - she's had a hard 6 years! I couldn't have asked for a better companion. She's very protective over me, but can (on occasion!) socialize with other humans and dogs. I've only had her for a couple of months, but already I can not imagine why it took me so long to get myself a friend like her. I guess it's because the time wasn't right yet for this specific GSD's path to cross mine. Hi Yachovich. What a wonderful and amazing story. Thanks so much for taking the time to come here and share your own personal German Shepherd Dog story and picture of your beautiful new German Shepherd Dog Mia with us all here. And what a great picture of Mia too. She looks so comfortable now in her new home. Beautiful. Nicely done - she so pretty! But I am so sorry for the way in which you got her - she has indeed had a hard life up to this point. But you know, they say timing is everything, so it was just your time for your paths to cross. Good luck to you both. 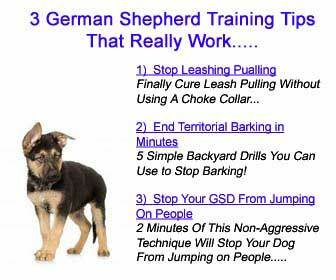 i love german shepherds ! Thank You so much for taking in this beautiful dog. You are truly and Angel of God. I actually cried when I read this. Thank You So Much for helping her and loving her. GSDs are such a special breed, they offer unconditional love and devotion. I will pray for you daily and hope you have many years of the uncondition love and devotion they offer so freely. God Bless You Both Always. What a beautiful story and what a great dog! Congratulations on your new and wonderful family member Mia! May the two of you have a lot of delightful years together.